I have a few quickie dinners that I was unsure how to make to avoid carbs. Quiche was one of them. 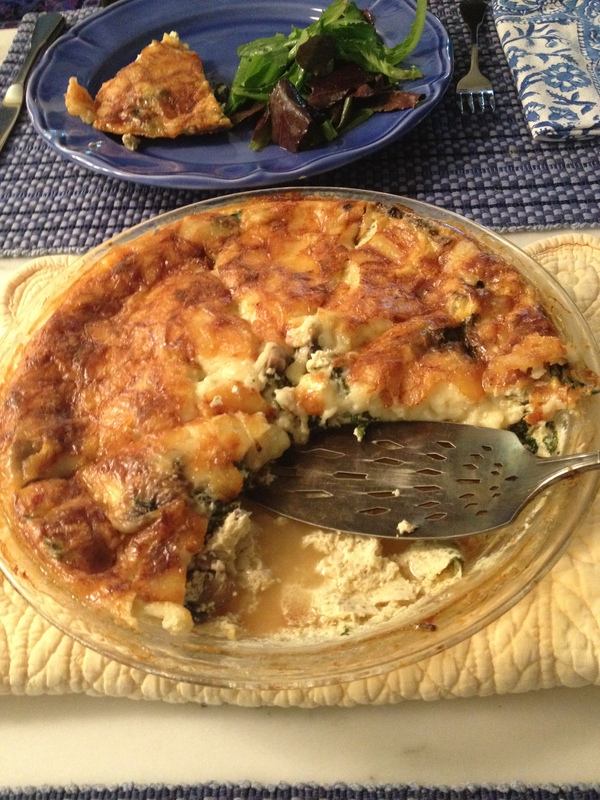 Here is a recipe for Crustless Quiche that works out perfectly. Purists may say quiche without crust is not quiche. I will leave that for another day. 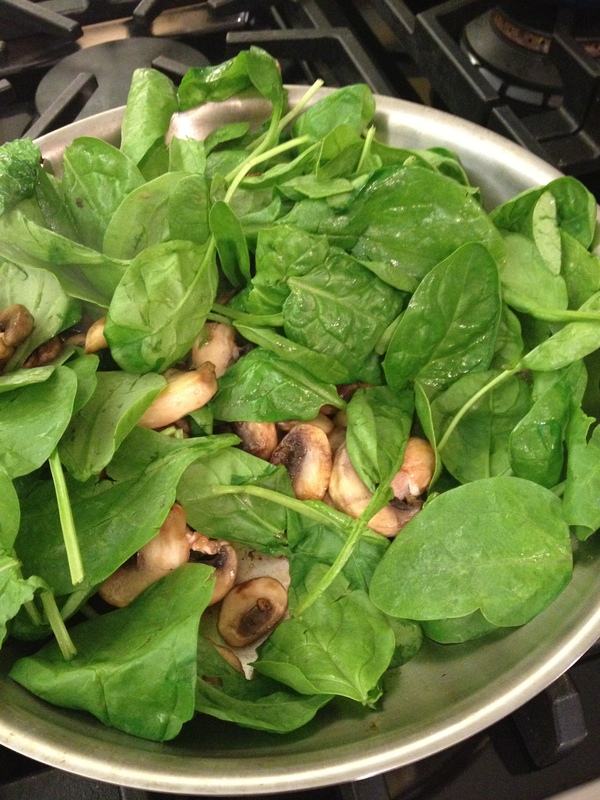 Saute whatever vegetables you would like, tonight I used baby spinach and mushrooms sauteed in olive oil and shallots. In medium bowl lightly beat 4 large eggs and 1 Cup whole milk or half & half. Spread sauteed vegetables in 9″pie plate, top with 8 oz. grated swiss cheese. Top with egg mixture. .